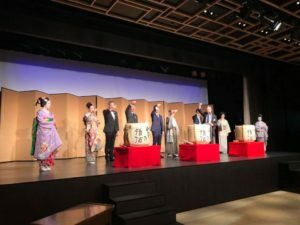 2 At Happoen, “Kyoto Sousei PR Project” Kyoto Aruki in Tokyo 2018 ” Embassy Reception” hosted by Mayor of Kyoto was held. 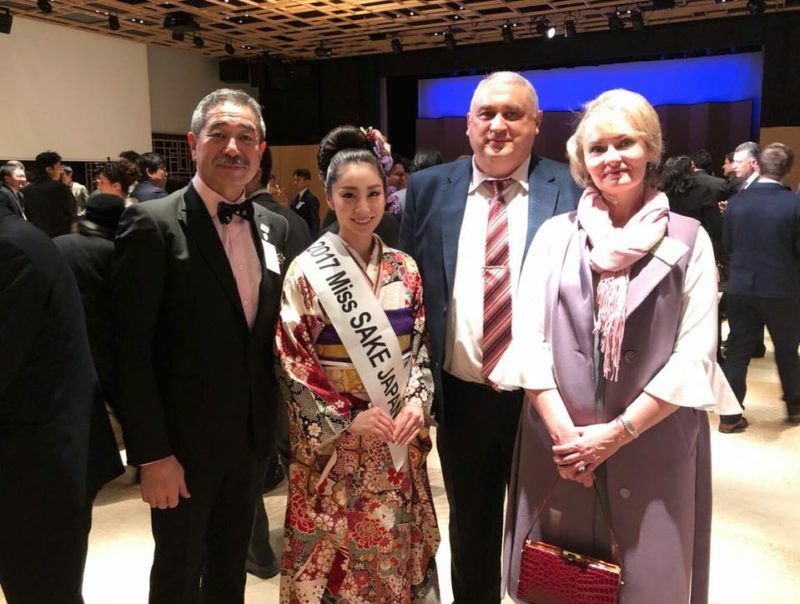 At Happoen, “Kyoto Sousei PR Project” Kyoto Aruki in Tokyo 2018 ” Embassy Reception” hosted by Mayor of Kyoto was held. 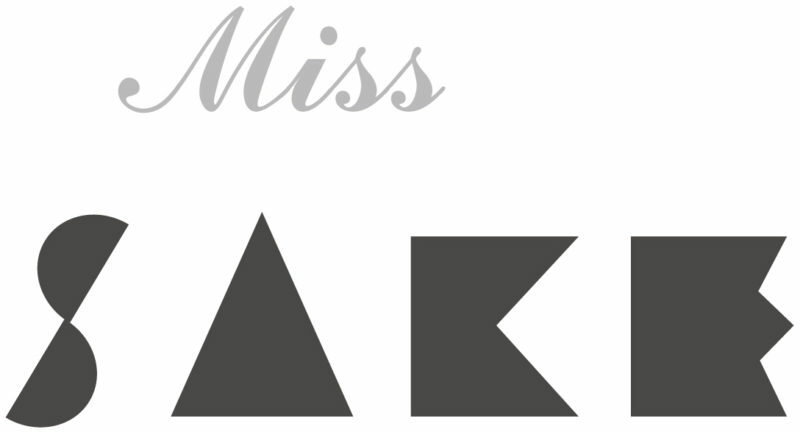 This is Rino Tanaka, 2017 Miss Sake. 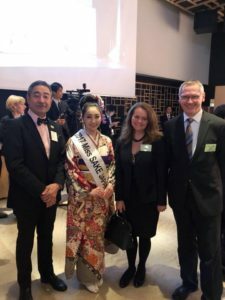 The reception aims to promote the understanding of Japanese culture by introducing the charm of Kyoto, the world’s cultural capital to embassies, commercial industries and mass media etc., and also to contribute to the promotion of industry, tourism, culture and international exchange of Kyoto. Greetings from Mr. Daisaku Kadokawa, the Mayor of Kyoto and Mr. Mitsunari Okamoto, Vice-Minister for Foreign Affairs, followed by new sake barrel opening praying for “further development of Kyoto and regional creation of Japan” took place. At the stage, I had a chance to talk about the charm of sake made in Kyoto with Mr. Tokubee Masuda, the director of Masuda Tokubee Shoten Corporation. At the venue, nutritious dishes using “Kyoto vegetables” and “Kyoto Beef Miyabi”, the Kyoto’s premium beef, as well as sweets and Japanese sake from Fushimi were served. 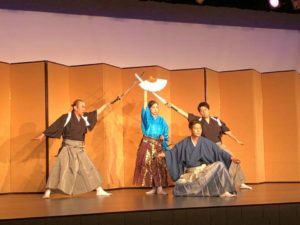 At the stage, the performance of the sword fight by “Toei Tsurugi no Kai” and magnificent dance performance by maiko was shown. 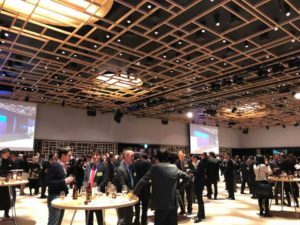 Approximately 300 people including ambassadors for Japan, the foreign chamber of commerce and industry in Japan, politicians and people visiting Kyoto came to visit the event. I was able to take photos and talk many people who got interested in the title of Miss SAKE and kimono, which made me feel the charm of Japanese Sake.